Categories: Brilliant and Beautiful, Necklaces. Tags: handcrafted, Herkimer Diamond, jewelry, Mitzi Adams, necklace, pendant, quartz, sterling silver, wire wrapped. This sterling silver wire wrapped Herkimer Diamond necklace has a straightforward, no frills look about it. The simple style highlights the natural facets of the quartz and it’s slightly irregular shape. The pendant pictured is the exact pendant you will receive. It is one of a kind. I named this pendant after Mitzi Adams because I thought it seemed to suit her. 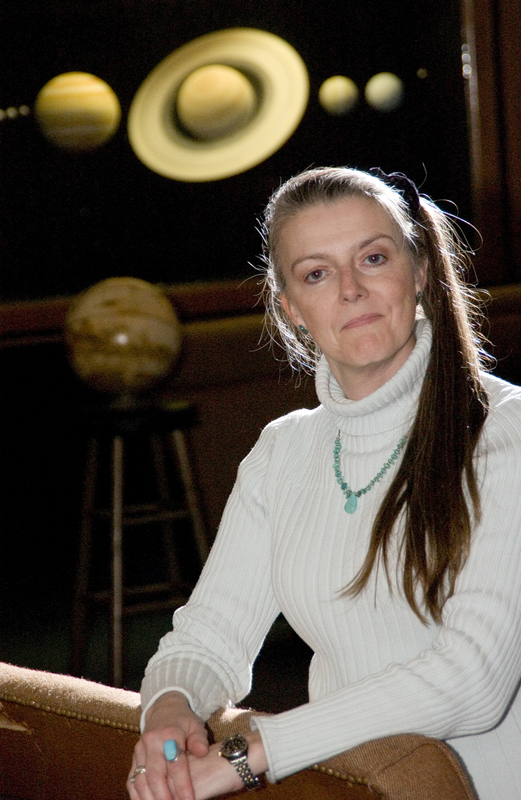 She studies the sun’s behavior and coronal mass ejections as well as spends a good deal of time teaching and trying to inspire a new generation of solar scientists. She sees astronomy as “a fascinating blend of sciences — physics, chemistry, geology, history, mathematics — that keeps it new and exciting and more relevant now than ever to our everyday lives.” Her love of learning and adventurous spirit are inspiring. Please choose a chain or cord length. All chains are sterling silver and the black satin cord has a sterling silver clasp and cord ends. Be the first to review “Mitzi Adams Herkimer Diamond Necklace” Click here to cancel reply.